Home Car Toyota Land Cruiser 200, Toyota’s highest price vehicle. 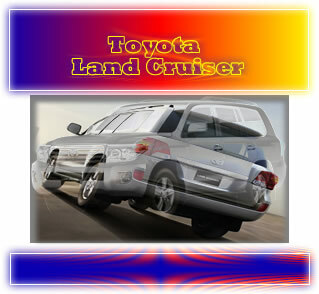 Land Cruiser 200, Toyota’s highest price vehicle. The vehicle is under Cross-over & SUV's category. Devour any terrain with power delivered by a 4.5 litre V-8 turbocharged diesel engine through a 6-speed automatic transmission with Super ECT driven off by all four wheels thanks to Toyota's Full-Time 4WD System. Power. Grip. All together. Lounge in the Land Cruiser and experience state-of -the-art technology and creature comforts. A multi-information display keeps you well aware of all conditions, and function controls ergonomically located to help adjust to any condition at the tip of your fingers. Grace the road with your presence. With its stylish look and uncompromised function, the Land Cruiser commands pomp and circumstance off the road. Conquer any terrain with confidence with top-notch safety features including front, side, and curtain airbags, and ABS with EBD for surefooted stopping power. With the Land Cruiser, your only concern will be the path ahead of you.